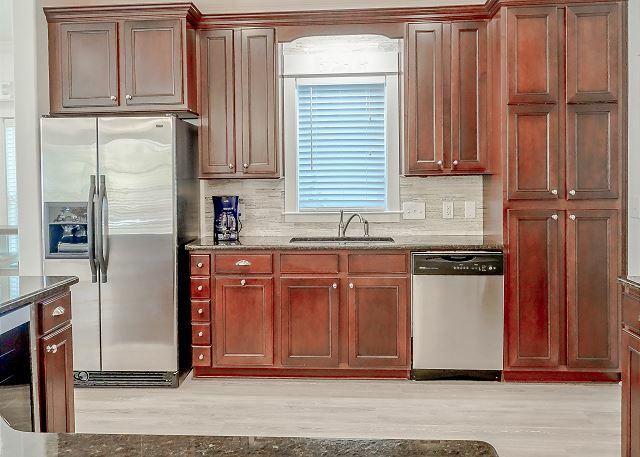 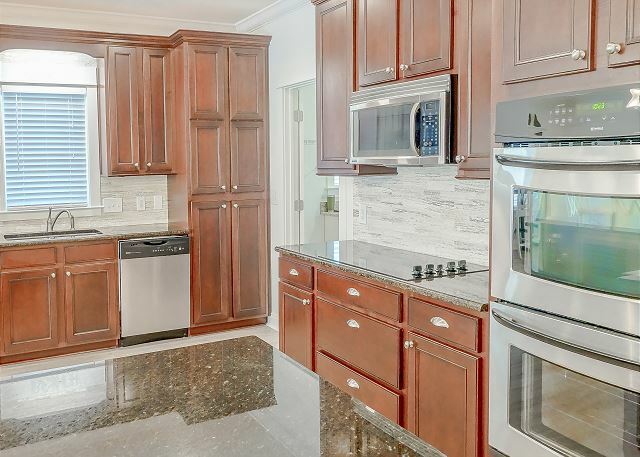 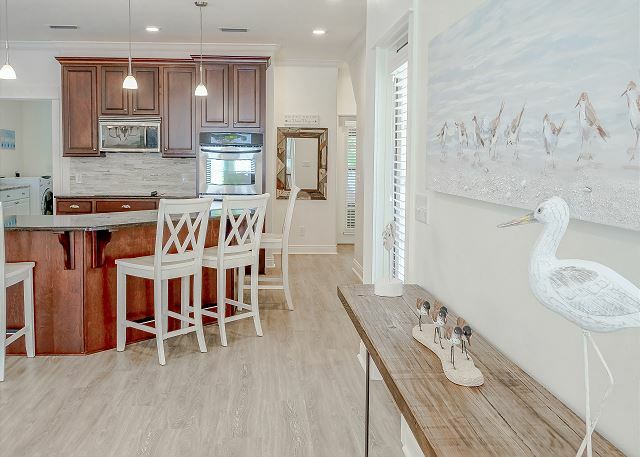 Newly Remodeled designer interiors, spacious floor plan, fantastic location, and lots of extras - our new Seagrove home has it all! 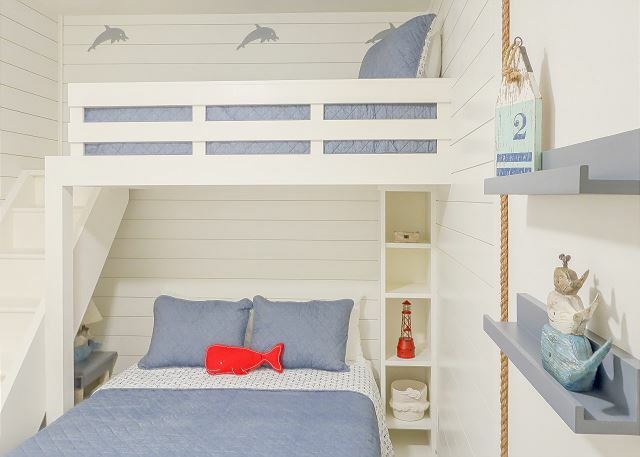 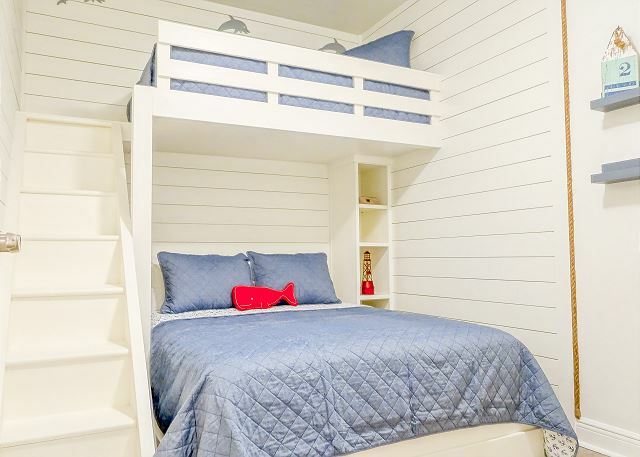 With sleeping for up to 13 in 5 bedrooms, including a bunk room, and 3.5 baths, your entire family will enjoy lots of room. 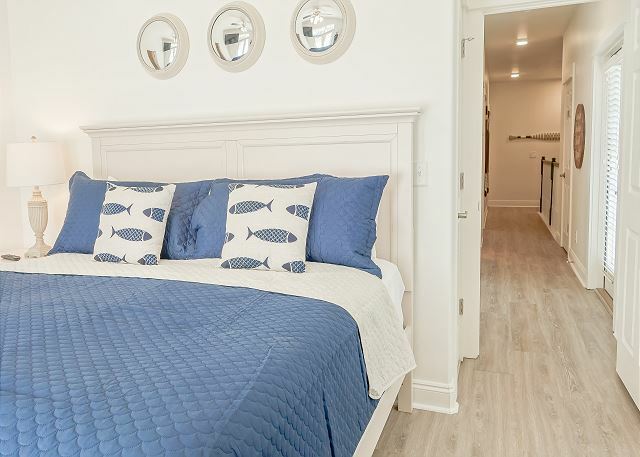 Two king suites are great for multiple families traveling together or if you want to bring the grandparents along. 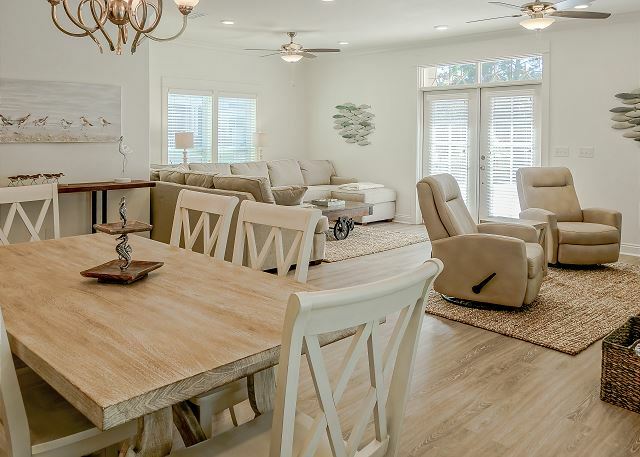 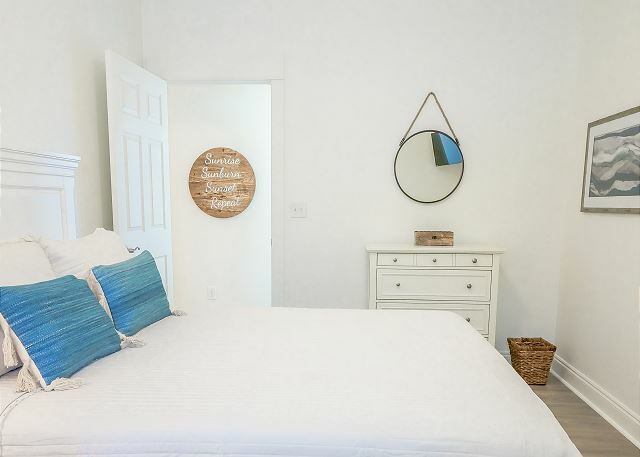 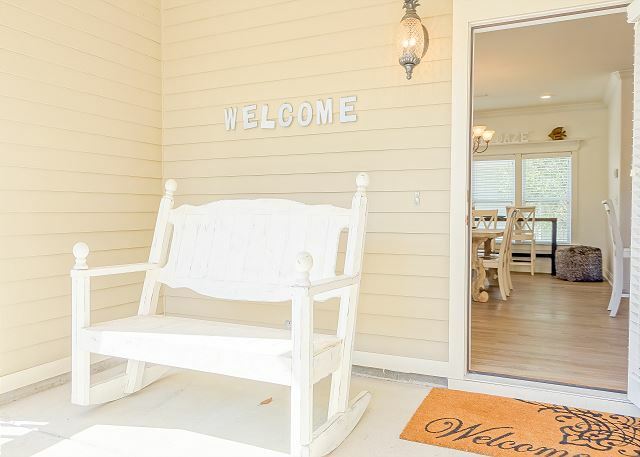 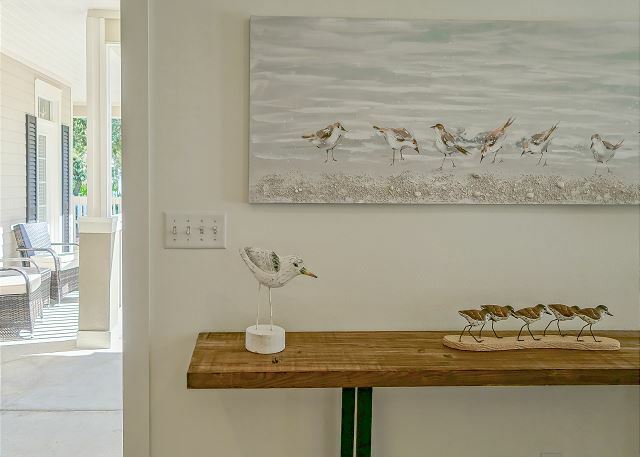 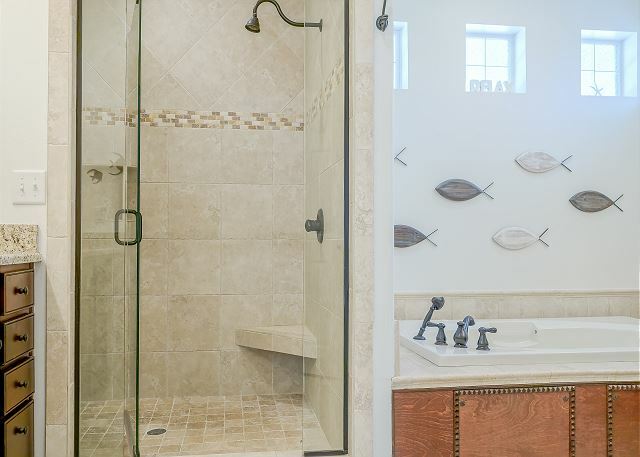 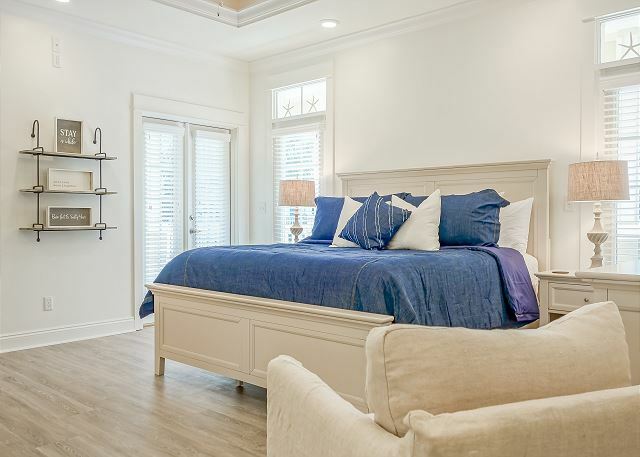 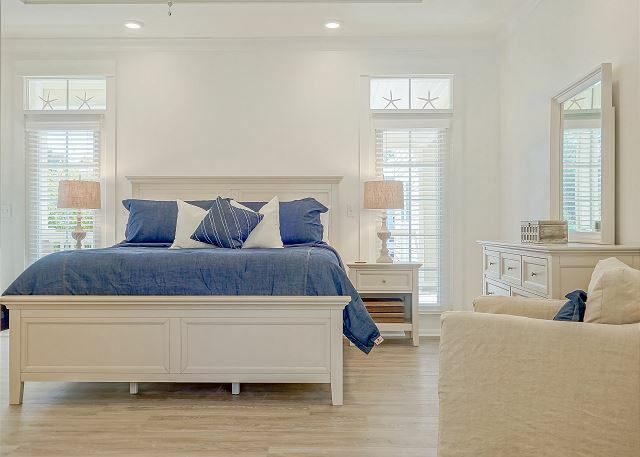 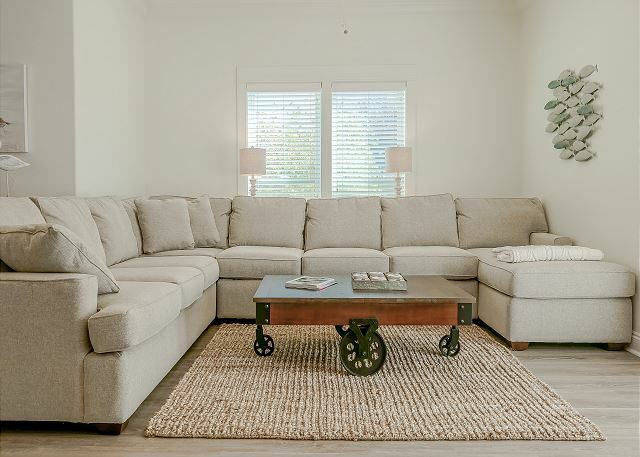 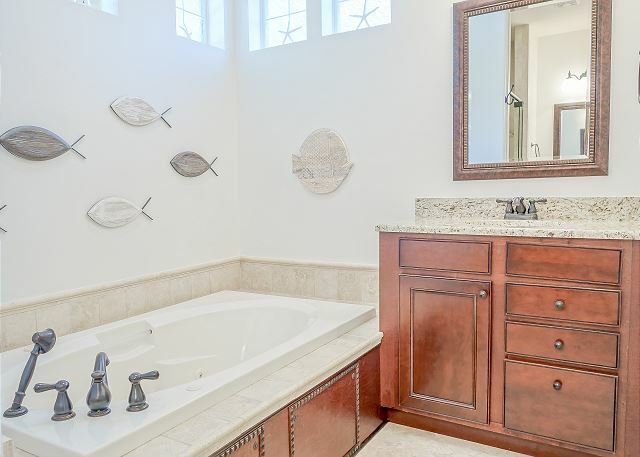 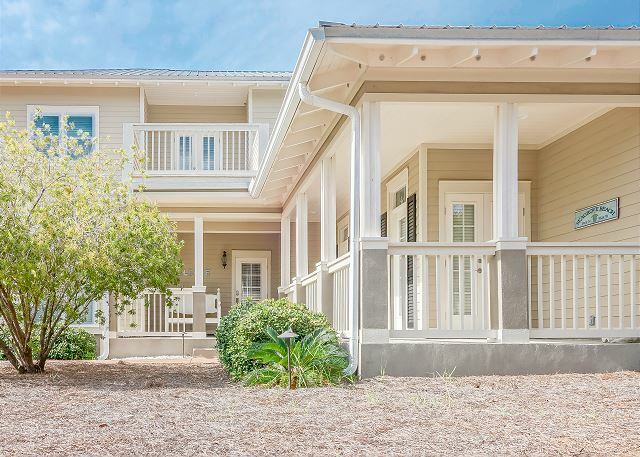 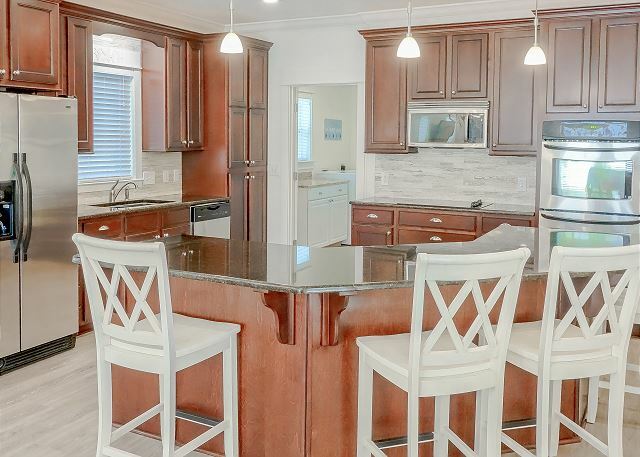 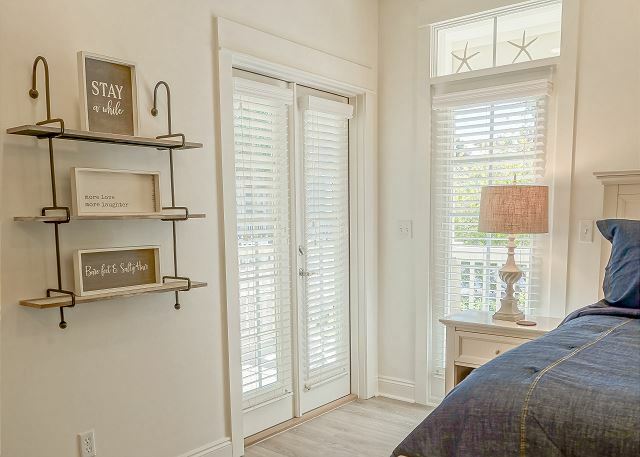 Everything you could want in a seaside experience awaits you in this ample 2600 square foot home tucked within Cassine Village, one of Seagrove’s best family-oriented neighborhoods. 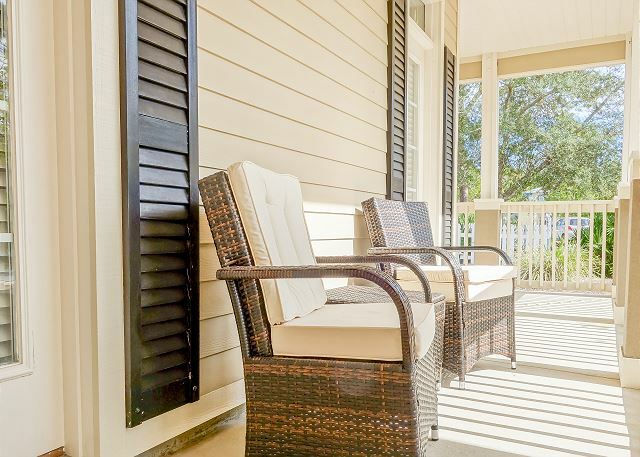 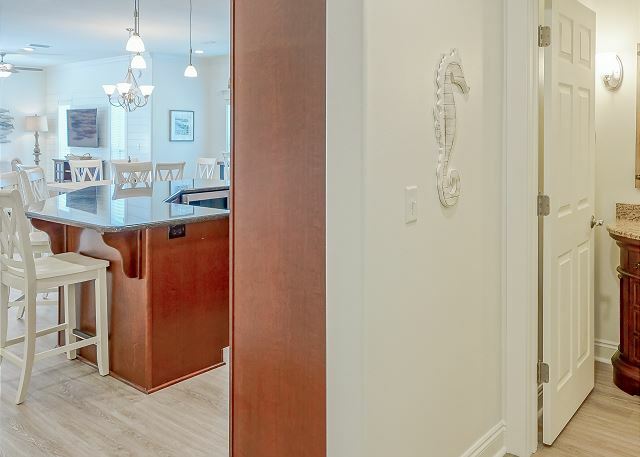 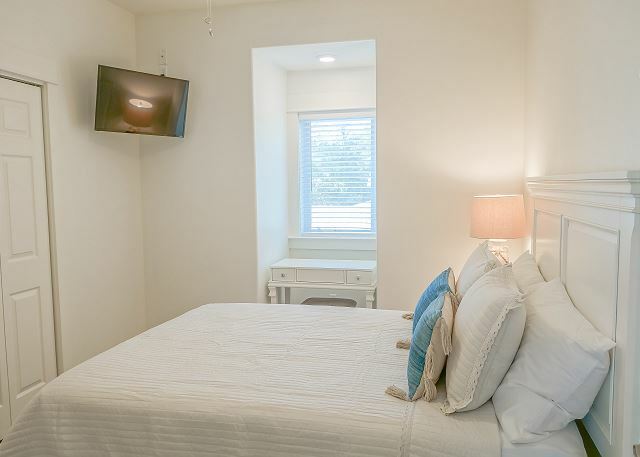 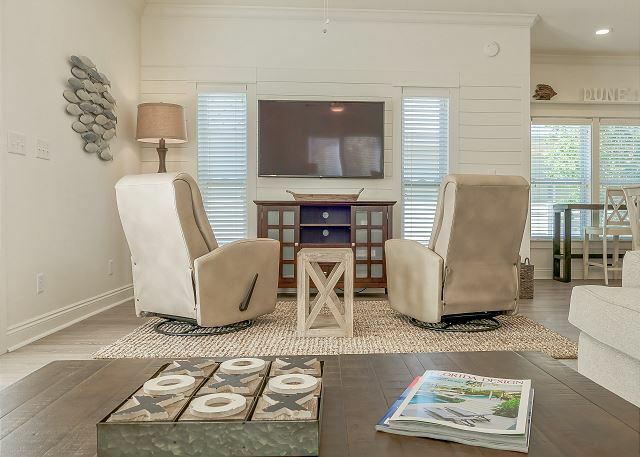 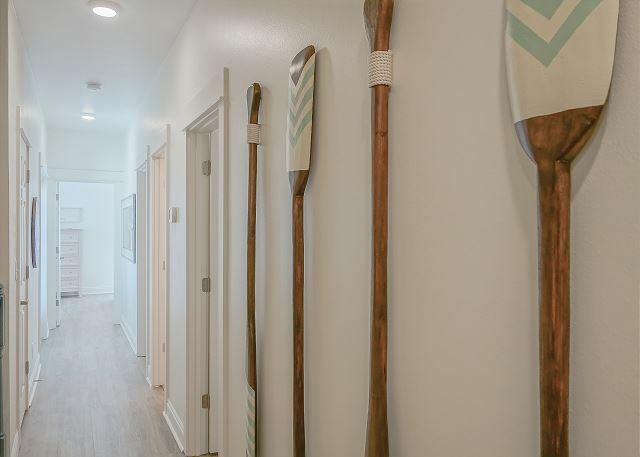 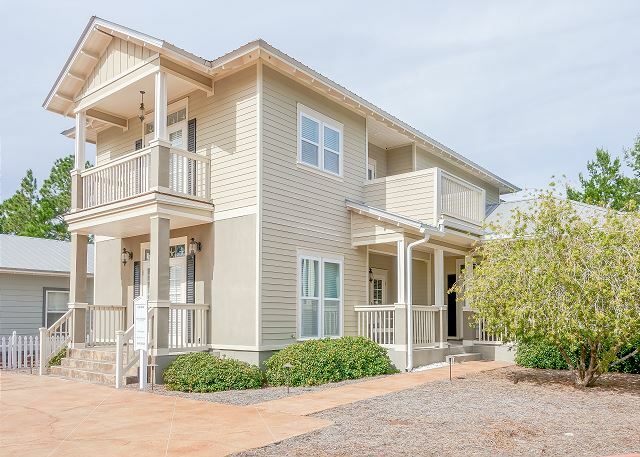 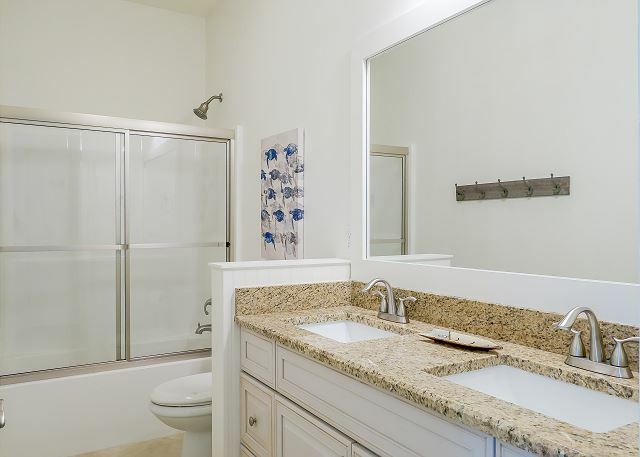 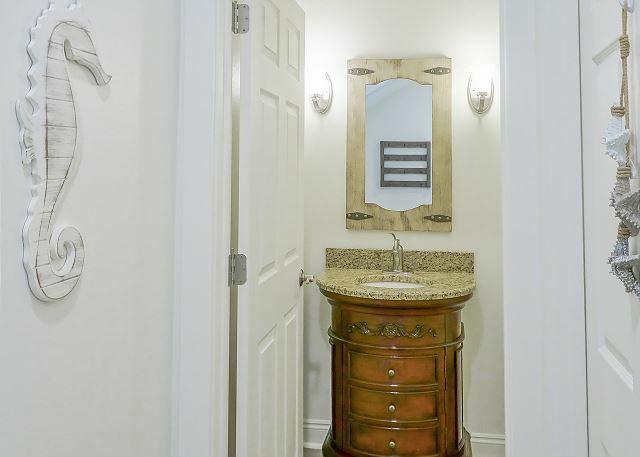 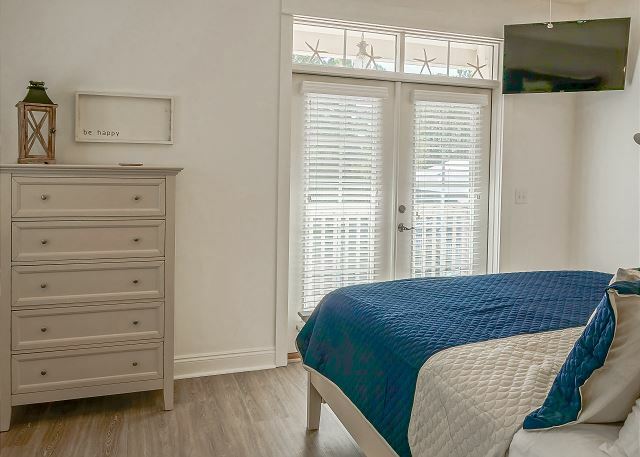 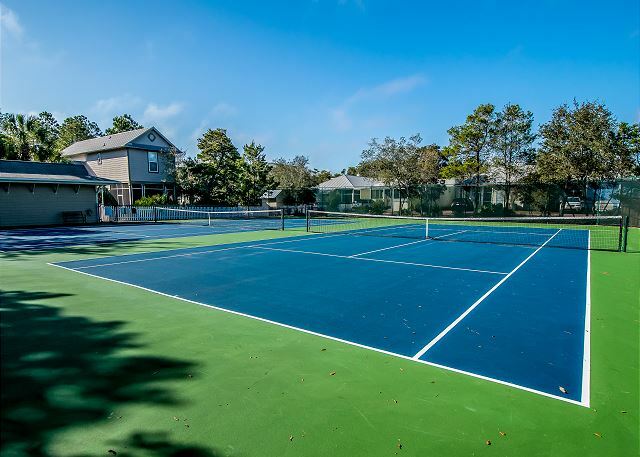 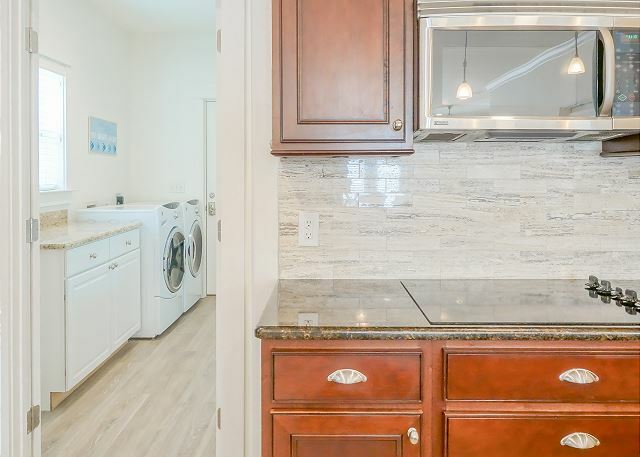 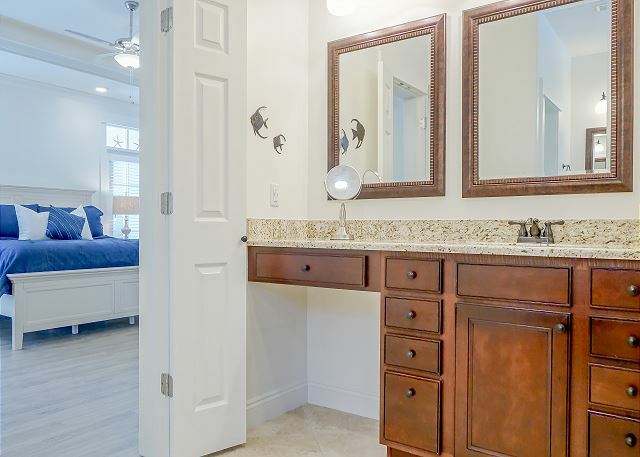 All the amenities are offered in this cozy community including swimming in one of our two pools, tennis, basketball and a five-minute walk along our bricked sidewalks to the pristine sands of the Emerald Coast. 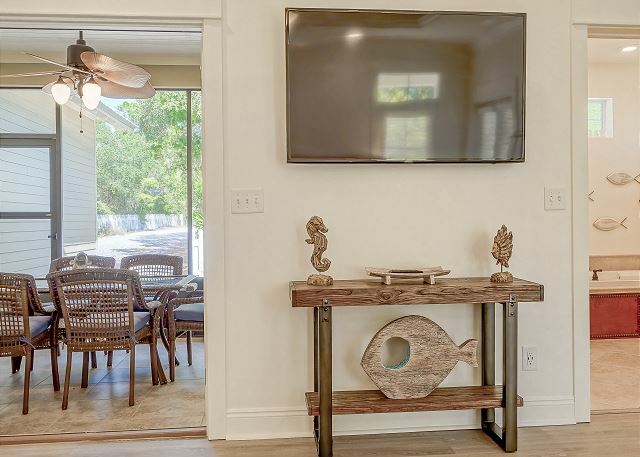 The kids can explore the nature trail or fish from the bridge over our community pond. 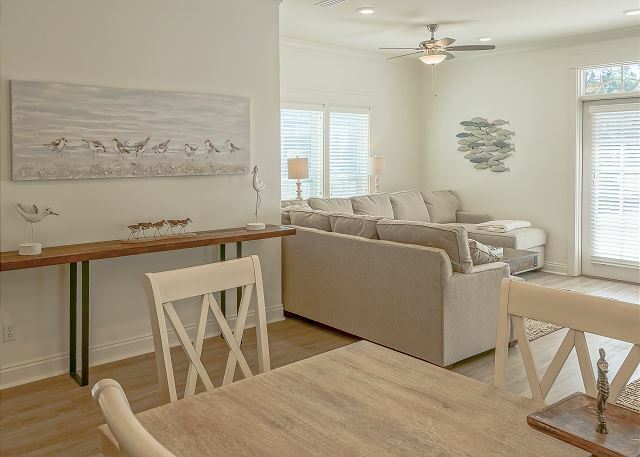 And, they can enjoy their bikes along our quiet streets or the family can pedal to Seaside. 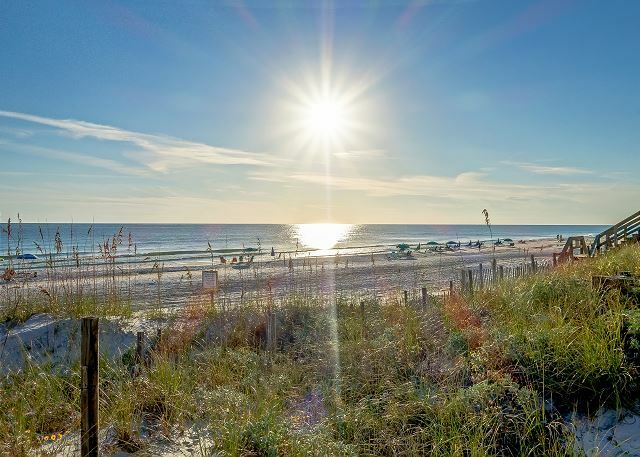 There are 26 miles of bike/walking trails along Scenic Hwy 30A. 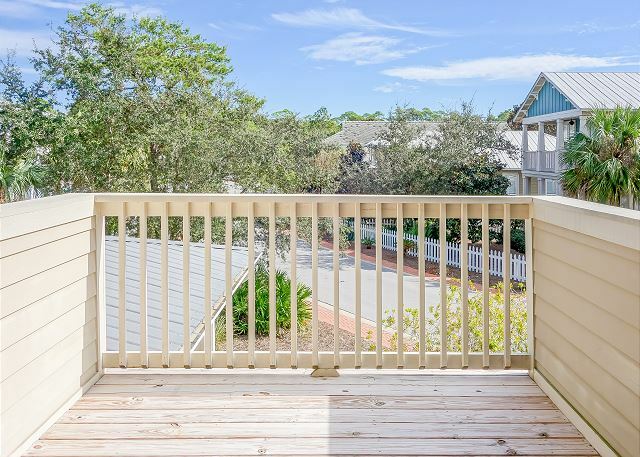 When it’s time for refreshment, it’s only a short walk for a pizza at Brozini's (best on 30A) or your favorite pasta dish at Angelina’s. 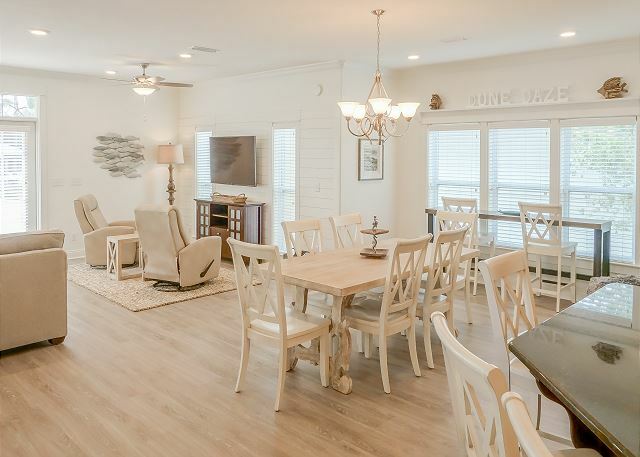 Make reservations at Café 30A (also within walking distance) for an upscale dining experience, or bike to Goatfeather’s Seafood for the catch of the day. 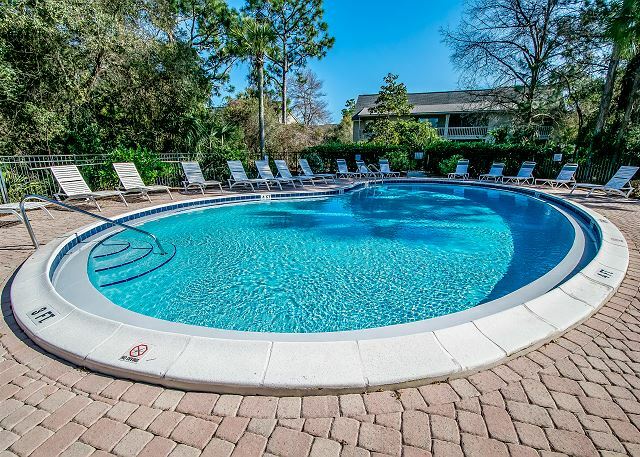 Look at this list of Amenities and Extras! 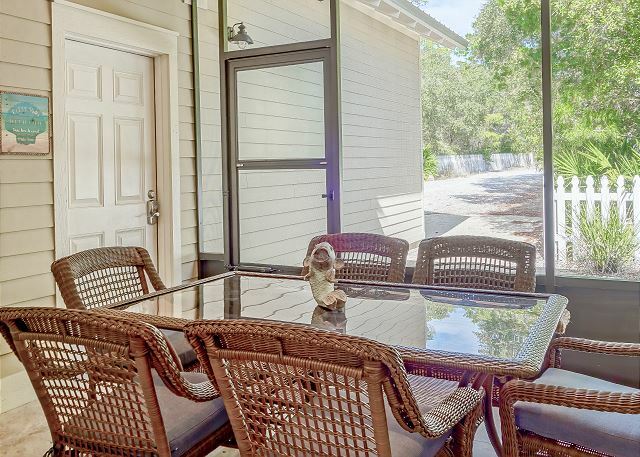 Fabulous, nicely decorated house in a peaceful neighborhood with only a short walk or bike ride to beach!! 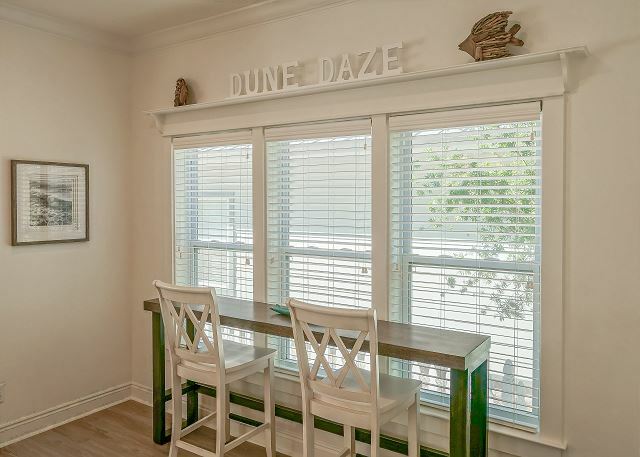 Dune Daze offers many spaces for group interaction or time to yourself. 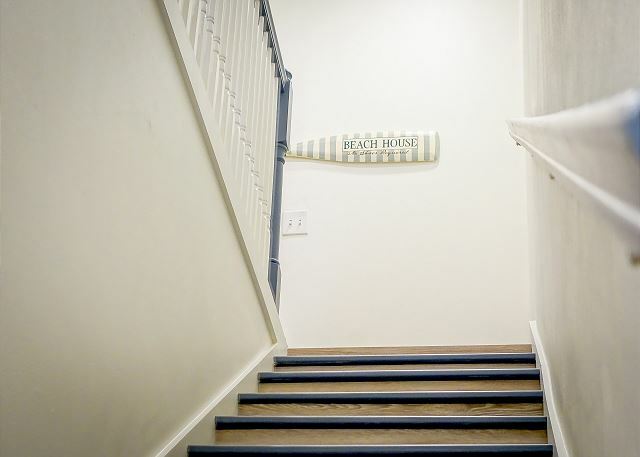 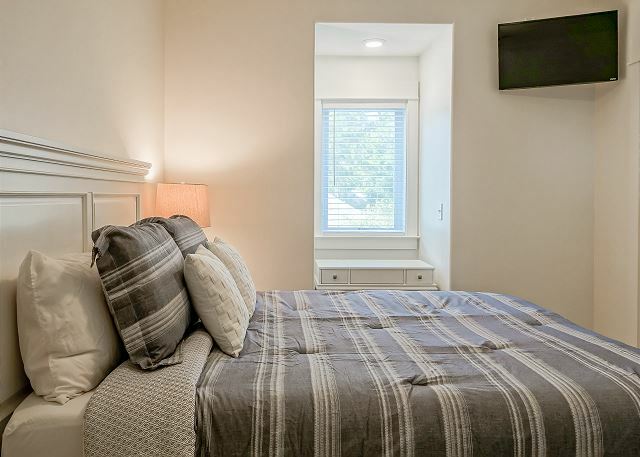 Walking distance to a delicious restaurant & pizzeria! 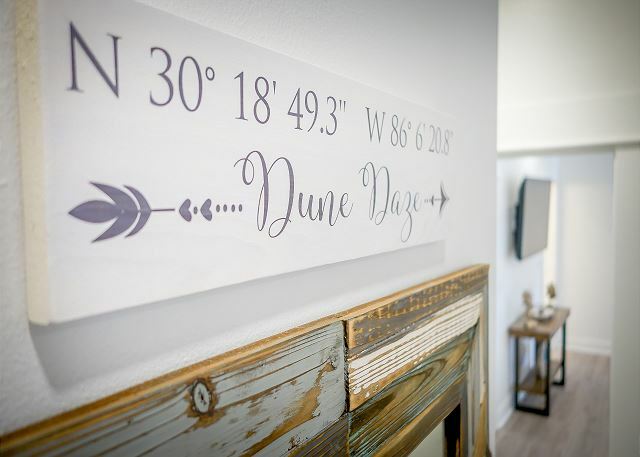 Lots of fond family memories made at Dune Daze! 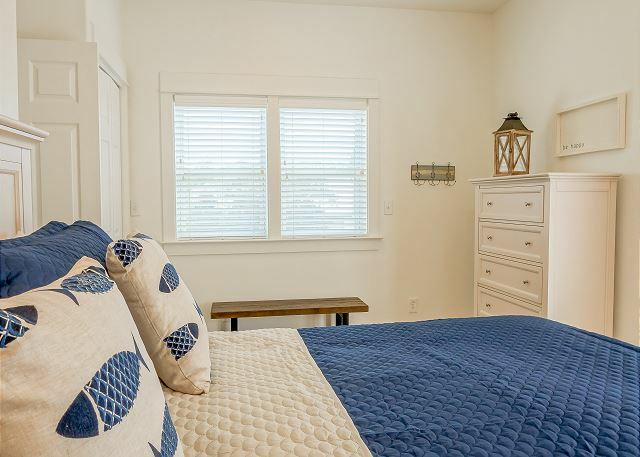 Thank you for submitting your review Alane! 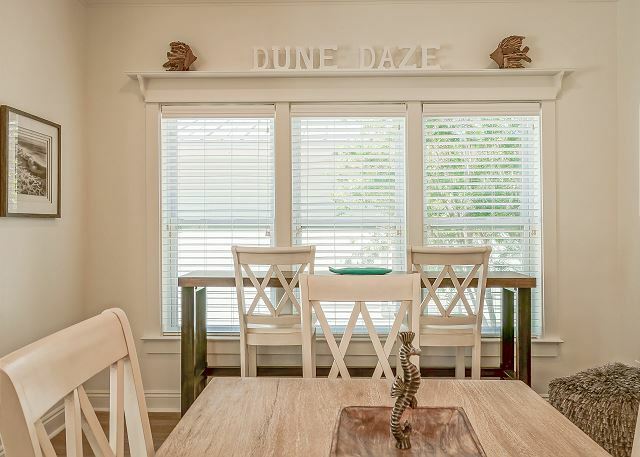 We are so glad to hear that you and your family enjoyed your time at Dune Daze! 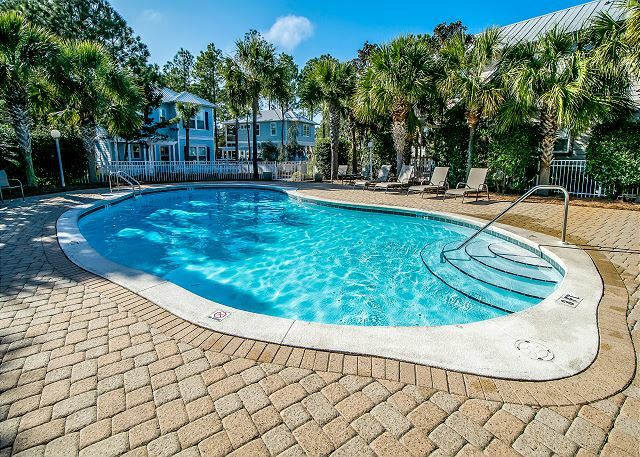 The memories made are what the vacation at the beach is all about and those lifetime memories can certainly be made here! 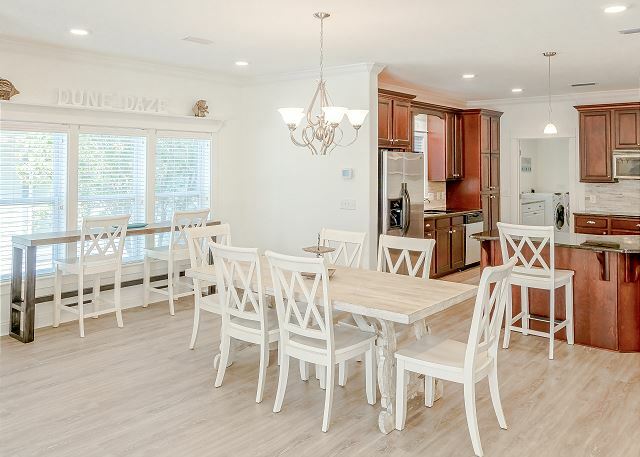 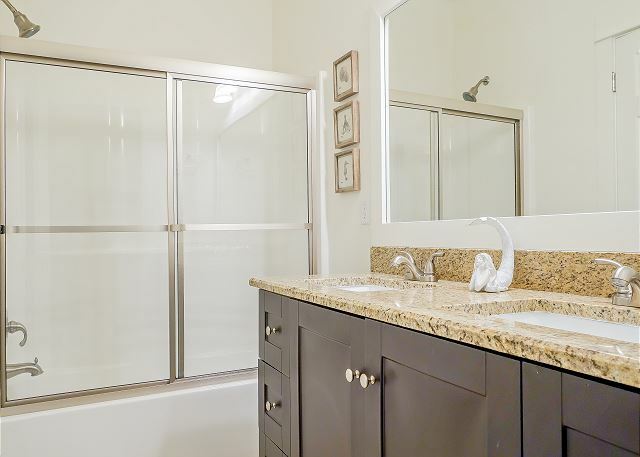 Bring the family and the friends to share this wonderful home - newly remodeled and beautifully decorated! 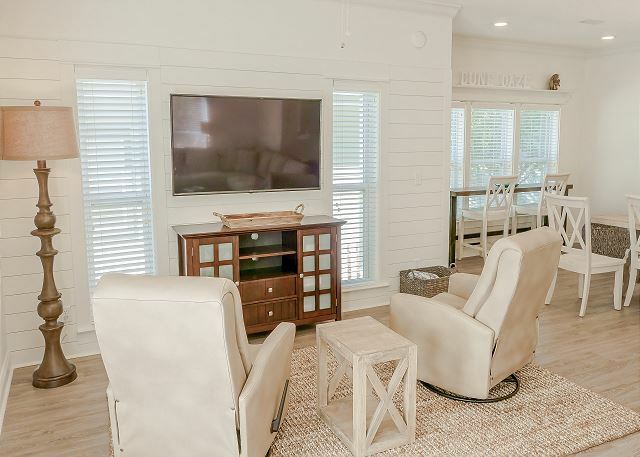 And we would have to agree - one of the best memories would be your trip to Brozini's - perhaps the best pizza on 30A! 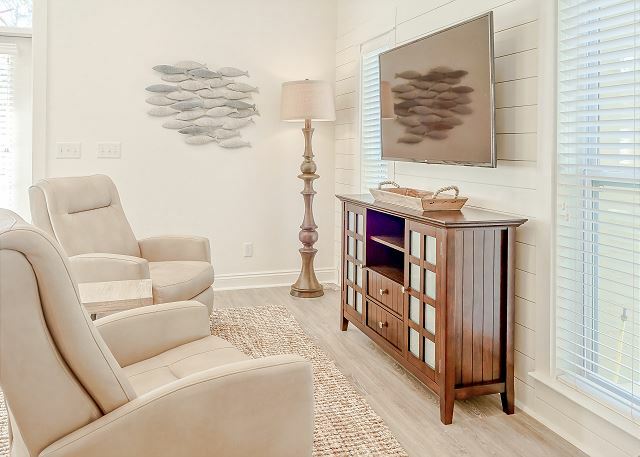 Of course the other memories will be made while relaxing on the white sandy beaches of the Emerald Coast - so amazingly beautiful that you will never want to go home! 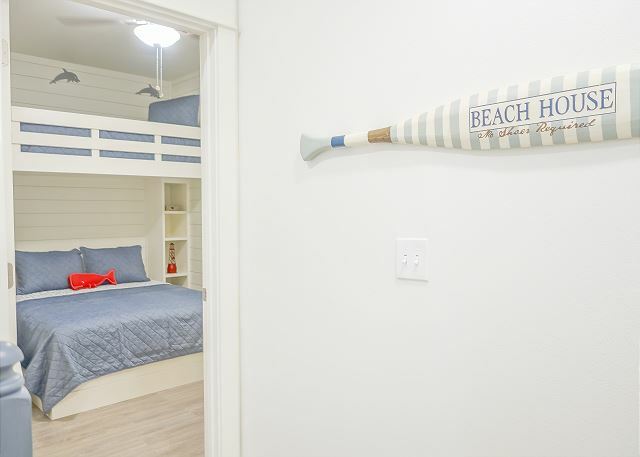 Call Benchmark today - we would love to help you create some beach vacation memories!